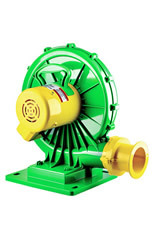 SkyPuppet.com is proud to offer a wide selection of professional blowers from industry leader, B-Air®. 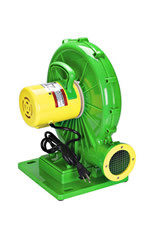 B-Air offers brand name blowers with a great reputation and reliability. 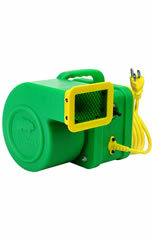 These blowers come in many different configurations and horsepowers to suit your inflatables! 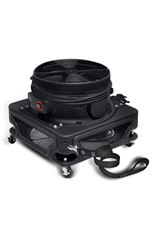 A B-Air blower is great if you need a spare or replacement blower for your SkyPuppet or if you need a smaller blower to power your inflatables, decorations and other outdoor or indoor advertising. 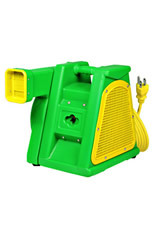 B-Air blowers are the smart choice for powering your inflatables and come with great features such as convenient carrying handles and long cords. 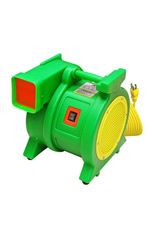 Check out our selection of inflatables blowers below for the perfect blower to suite your needs. Get help deciding which blower model you need. 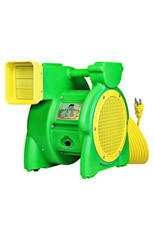 Which blower model do I need for my skypuppet, air dancer or other inflatables? Ideal for 13 x 13's or 15 x 15 commercial bounce houses and slides. 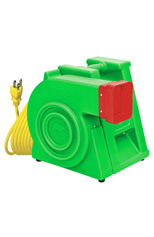 The most versatile used blower for inflatable bounce houses/slides. 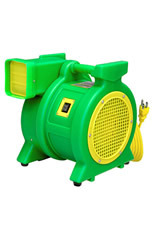 Very powerful blower available for the Largest Inflatable games/slides up to 24'+ that require High Static Pressure & CFM. Helps firm up older worn-out units. Used in larger structures up to 22 ft. Also used to create firmness on older units. 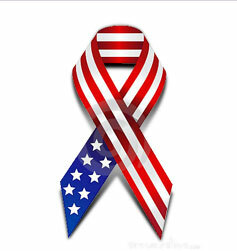 To inflate small advertising structures for display. Inflates typical backyard/commercial bounce house up to 15 x 15. Ideal versatile positioned blower to inflate all sorts of ornamental inflatable structures for display purposes, including Inflatable Chairs. Ideal Vortex Fan for Advertising Sky Dancing tubes of all sizes.